In this workshop therapists will learn how to expand their healing repertoires by being introduced to self-healing methods that can aid patients’ physical and mental health. Participants will be introduced to an integration of Qigong and psychotherapy that Dr. Mayer developed from thirty years of training with some of the most respected TaiChi/Qigong masters, and which he applied in an multidisciplinary medical clinic which he co-founded. Qigong (of which Tai Chi is the best known system) is a many thousand-year-old method of cultivating the energy of life through synchronizing movement, breath and imagery. Qigong (of which Tai Chi is the best known system) is coming to the forefront of mind-body healing practices. Recent research has demonstrated that Qigon, one of the five branches of Chinese Medicineg, has the ability to lower blood pressure (Wang 1995; Mayer, 1999 peer reviewed), increase balance (Province 1995), chronic pain (Wu, 1999), alleviate insomnia (Irwin,2008), and help with a wide variety of chronic diseases (Sancier, 1996; Pelletier, 2000). This root system of Chinese medicine has the unique ability to simultaneously relax and energize. The Wall Street Journal says it's “the hottest trend in stress relief.” Dr. Mehmet Oz—Director of the Cardiovascular Institute of Columbia University Medical Center of New York said on Oprah, “If you want to be healthy and live to 100, do Qigong … Qigong reverses the aging process.” Many people think Qigong is about graceful, healing movements; but Qigong also has static practices that can be done in stillness. Dr Mayer shows how to integrate the essence of Qigong into psychotherapy without using a Qigong movement, and without mentioning a word about Qigong. For example, with no reference to Qigong, in a psychotherapy session a practitioner can introduce breathing methods (such as Qigong's microcosmic orbit breathing) which simultaneously relax and energize, teach acu-point self touch, and increase somatic awareness of the movements/postures that a person expresses at the moment of “felt shift” (Gendlin, 1978) which then serve as post-hypnotic anchors (Bandler & Grinder 1979) – these movements and postures are oftentimes the same as practiced by Tai Chi/Qigong practitioners. Bodymind Healing Psychotherapy presents an integral (Walsh & Shapiro, 2006) paradigm for bodymind healing which is accessible for clinicians to integrate into brief or depth psychotherapy. Theory, case illustrations, and practices will be combined to show how this bodymind healing approach can help alleviate anxiety, hypertension, chronic pain, insomnia, etc. . . . . . . . . Michael Mayer, Ph.D. is a licensed psychologist, hypnotherapist, and Qigong/Tai Chi teacher who specializes in giving his patients self-healing methods for health problems. Dr. Mayer presents his approach to bodymind healing at professional conferences, national/international workshops, universities, and hospitals. He was a co-founder of, and a practitioner at, The Health Medicine Institute, a multi-disciplinary medical clinic practicing integrative health-care. He served as a Focusing Training coordinator for Dr Eugene Gendlin for ten years. 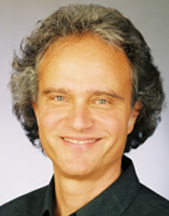 Dr. Mayer pioneered the integration of Qigong and psychotherapy, and was the first person in the United States to train doctoral psychology students in these methods at an accredited university. The World Institute for Self-Healing gave him an award for outstanding research and contribution to the advancement of mind-body medicine. He is the author of twenty publications on bodymind healing including four books, audiotapes on cancer and chronic disease, and articles on chronic pain and anxiety. His peer reviewed article on Qigong and hypertension appeared in The Journal of Alternative and Complementary Medicine, and is updated in the book Healing, Intention and Energy Medicine, by Dr Wayne Jonas, past director of the National Institute of Health, Office of Alternative Medicine. Dr. Mayer has served as a peer reviewer for The Journal of Alternative and Complementary Medicine, Complementary Therapies in Medicine, and Annals of Internal Medicine. His Bodymind Healing Qigong DVD is currently being used in training of trauma therapists by Dr. Bessel van der Kolk, Medical Director, The Trauma Center, Boston University School of Medicine. His last book Bodymind Healing Psychotherapy: Ancient Pathways to Modern Health(2007) received endorsements from top leaders in mind-body healthcare. His latest book is, Energy Psychology: Self Healing Practices for Bodymind Health,(North Atlantic/Random House, 2009).